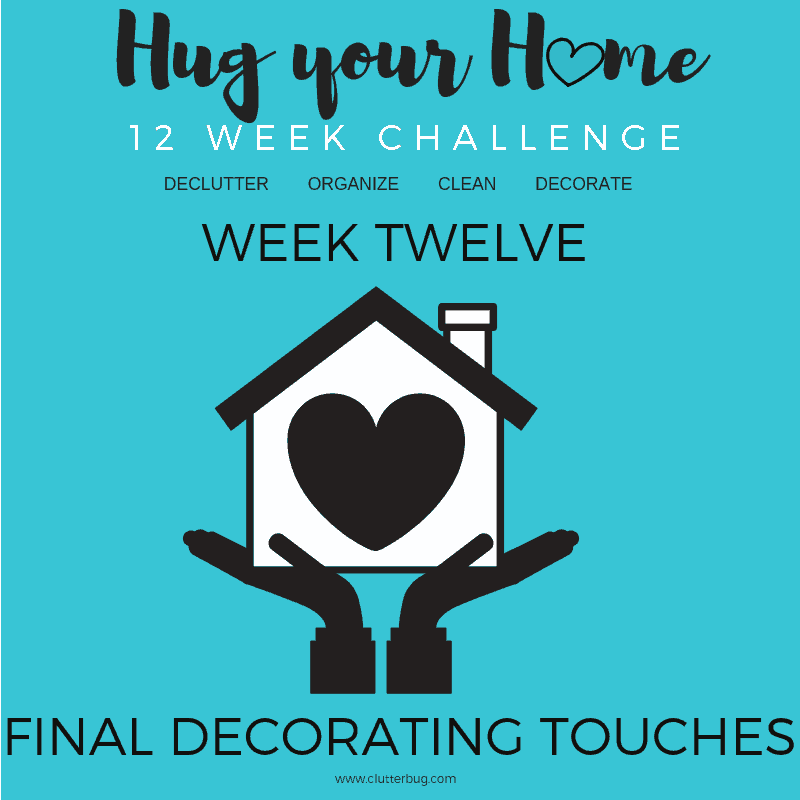 Well, it’s the FINAL week of our Hug Your Home challenge and this week I really want you to give your home some extra love by updating your decor. Decorating doesn’t have to be expensive, time consuming or overwhelming. You can update and refresh your space just by rearranging furniture, adding pops of color with inexpensive accessories and doing a few easy DIY projects. Just like always, check out my latest video on YouTube and be sure to share your updates on social media using the #hugyourhome. 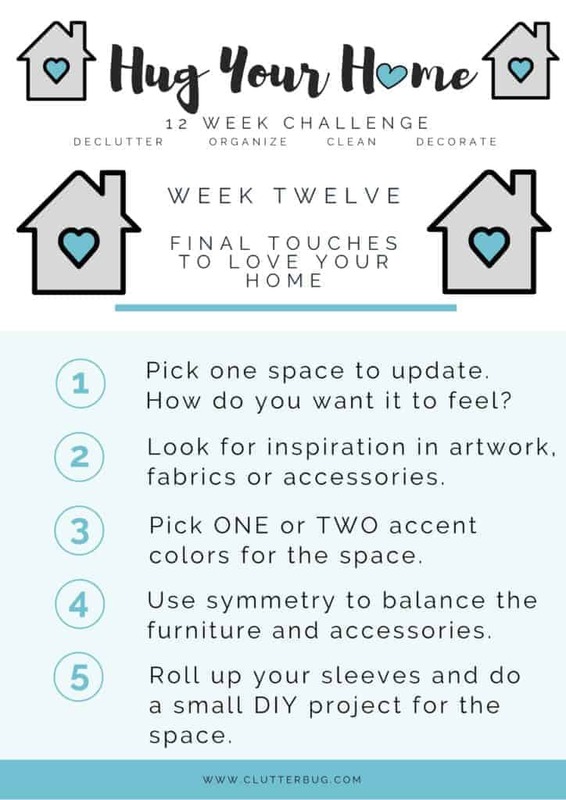 Here is a breakdown of the steps I take when decorating a room in my home. You can download the free checklist printable HERE. What’s Your Preferred Cleaning Routine?